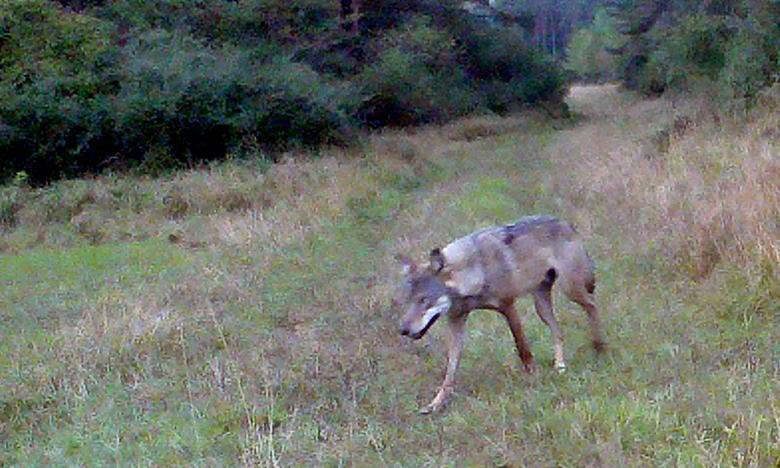 Photo of a wolf in the Grafenwoehr Training Area courtesy of the Federal Forestry Office in Grafenwoehr. GRAFENWOEHR, Germany — The State of Bavaria Department of Environment (LfU) reports several sightings of a wolf in the vicinity of the Grafenwoehr Training Area. The wolf sightings were captured on a Federal Forestry Office wildlife observation camera in Grafenwoehr. All USAG Bavaria community members are reminded remain calm and stay clear of all wildlife. There is a possibility that a wolf may enter or already roam the GTA, according to a Bavaria Department of Environment press release. No instances of injury or contact with a wolf have been reported. The wolf is a federally-protected species and it is forbidden to bother, disturb, chase, hurt or kill a wolf. Wolf spottings indicate a thriving environment and the commitment of the USAG Bavaria Environmental Division in partnership with the Federal Forestry Office in Grafenwoehr. The safety of our community and our animals is our top priority. If you see a wolf — or if you accidentally hurt or kill one on the road — notify the MP front desk or German Polizei and stay clear. Contact the MP front desk at DSN 476-3398/3397, CIV 09662-83-3398/3397. Contact the German Polizei at 110.